The decision overnight from the Department of Agriculture and Water Resources to cancel the livestock export license of Emanuel Exports over a failure to meet existing legislative requirements is a significant step towards the end of the live sheep export trade. However, given the confusing and complex regulatory environment whereby the regulator ‘sits’ within the department, we today call on the Minister to determine that the regulator must be removed from his department and be established as an independent body. The regulator is riddled with conflicts of interest including that it be required to simultaneously police the live export trade as well as promote live exports. These arrangements going forward are untenable. Since 2013, 42 government investigations have found Emanuel Exports and its sister companies guilty of non-compliance with live export regulations in importing countries, resulting in appalling cruelty to thousands of animals. and today demonstrates irrefutably that the entire trade is faltering and in permanent decline. While this license cancellation is a major development, it does raise serious concerns. There has not been a sheep shipment leave Australia for the past 10 weeks due to this company’s licence being suspended, and other exporters realising that being forced to comply with regulations makes their trade commercially unviable. This last minute enforcement of existing regulations leaves farmers ‘in the lurch’ and facing an uncertain future. Now is the time to legislate a five year phasing out period, setting an end-date for the trade and assisting farmers transition away from live sheep exports into more profitable sheep processing ventures. This transition will not be without challenges but it does provide certainty for farmers and other industry stakeholders – something that today’s decision has completely removed. We remain extremely concerned that the live sheep trade will continue to damage the reputation of Australia’s entire agriculture industry – an industry that has an international reputation for high quality, ethically-made food and fibre, one that is a major contributor to the Australian economy. Once again we commend the Minister for Agriculture for instigating the Moss review and we look forward to the release of its recommendations. With hundreds of thousands of people contacting Parliamentarians calling for the live sheep export trade to end, Australians have overwhelmingly made their voices heard on this matter. 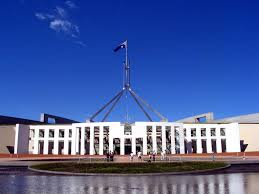 It is time we, as elected representatives, accurately reflect the wishes of the Australian people in the Parliament. In the interest of safeguarding Australia’s vital agriculture industry, we call on the House of Representatives to pass the Live Sheep Long Haul Export Prohibition Bill 2018 as soon as possible.